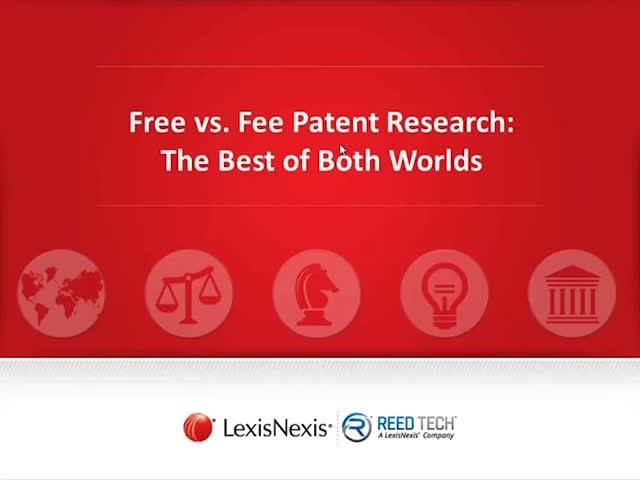 Even if you use commercial patent research tools, you're likely still use free tools. How do you maximize your utilization of these tools to get the best of both worlds? We review coverage, results and feature functionality of both sets of tools, and reveal a newly launched tool that brings a whole new experience to the world of patent research. Examiner Time Allocation - tells you all about the workload, efficiency, allowance-rate etc of your examiner and the art-unit. You can now immediately understand whether you stand a chance and how to reduce costs! ETA - is the innovative metric that tells you everything about where you stand with your Patent Application at the USPTO. Battery technology powers devices around the globe and innovation are key to the power and storage economy. The use of big data is ubiquitous. Watch this webinar to learn how you can use big data to your advantage in patent prosecution for the dynamic and swiftly changing field of batteries. Patent Quality. It is not as common as you might think! Getting your patent applications right matters more than anything else you will do in patent prosecution. If you start out with a bad quality, you will likely never end up good … with potentially disastrous consequences to your company or client. In this webinar we will discuss how you can improve your patent application drafts utilising the many special tools available in the LexisNexis PatentOptimizer® solution. We will focus on some of the unique aspects of PCT and EPO practice, provide some contrast to US practice, as well as call out some of the major pitfalls encountered in all three offices. Even if you are not a current subscriber to the PatentOptimizer solution, you are bound to learn something of value for your practice. Are European companies equally successful when filing at the USPTO as their US counterparts? What is their biggest threat when filing a patent application at the USPTO? In this webinar we will use statistics on art units, examiners, Office actions, RCE’s and law firms to tell you a real story on how the USPTO works and how you can benefit from this knowledge. Second webinar to follow up on earlier talks about Alice rejections: How do you draft applications to lay the foundations to overcome Alice? Discussion about overcoming Alice. Giving perspectives and asking whether there is light at the end of the tunnel. Panel members are experts in the market in the United States. LexisNexis IP Solutions is the provider of best-in-class information-based solutions and services to meet the broad needs of the global Intellectual Property market. Our colleagues and associates in the marketplace have the knowledge to share and to support you in the work associated with Intellectual Property. Be it patent search, analytics, prosecution, litigation, valuation or management.